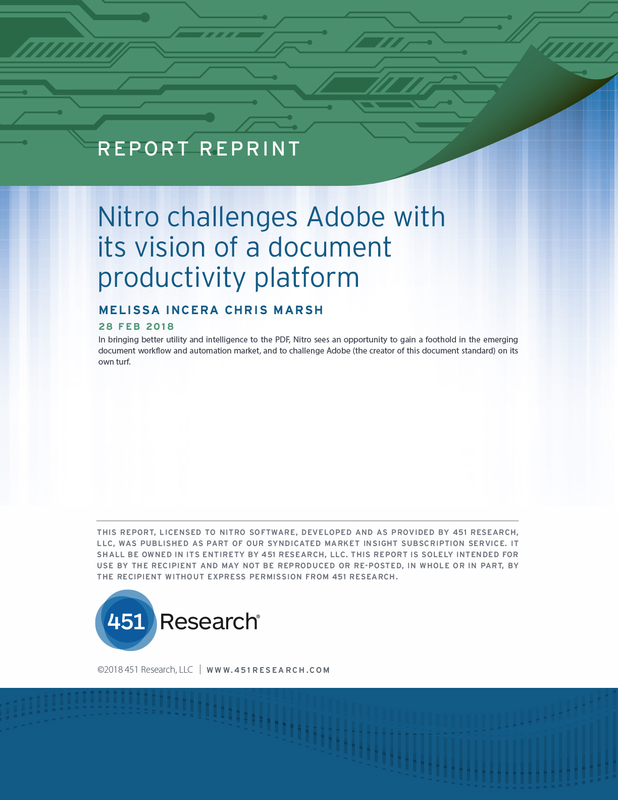 Global research and advisory firm 451 Research recently released a report detailing Nitro’s role as Adobe challenger in the changing tide of PDF documents, document workflows, and collaboration. The report discusses the benefits and strengths of Nitro’s comprehensive document productivity solutions versus Adobe’s use-case-focused applications. Download the report to discover everything from the competitive landscape of document workflow and automation, to 451’s take on how Nitro innovatively unites the utility and security of PDF documents with team collaboration.